The fantastically talented and generous Miyo Strong of Busath Photography has posted the first pictures of this year's Fairy Festival. See them on her blog (miyostrong.busath.com) here. Thank you Miyo for sharing your talents with us. It has been a pleasure knowing you the past four years. 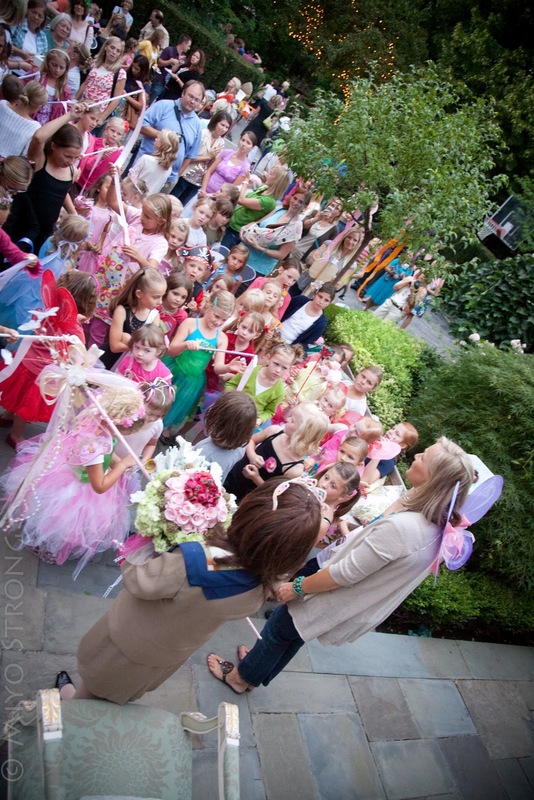 Is there anyone who does not dream of having a fairy godmother? There are times when I need a little bit of magic in my life to overcome a problem, or to find a spot of true joy. As I think about my life, I do have a fairy godmother who blesses not only my life, but also the lives of my children and countless others. 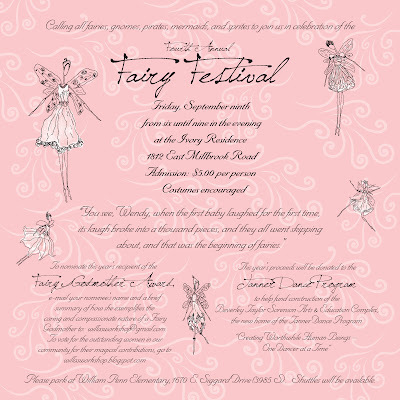 It is a pleasure to nominate Mary Ann Lee for the honor of Fairy Godmother in association with Willa’s Workshop. Mary Ann embodies both the strength and the genuineness of a fairy godmother. 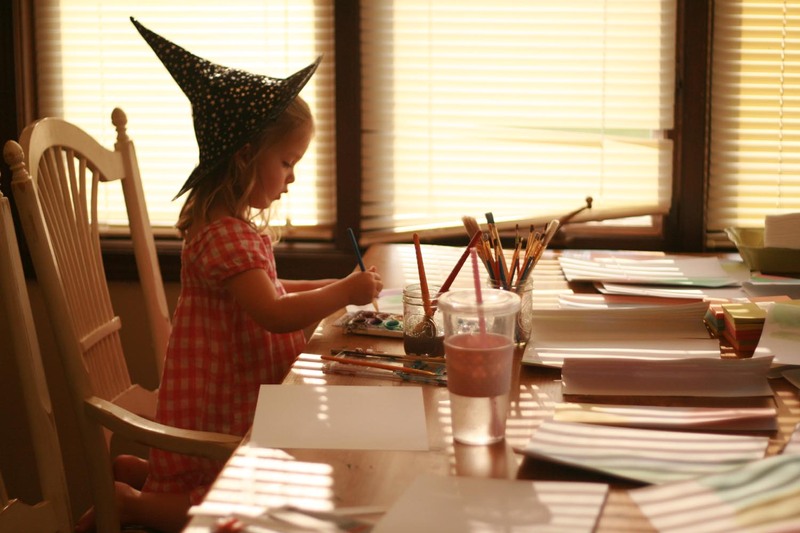 She also engenders the magic that one associates with fairy godmothers. In making this nomination, I feel that I must speak from my own personal experiences with Mary Ann. There are many who could share poignant and touching stories. I guess, that as I think about fairy godmothers, though, it is my own private experiences that I would like to share because Mary Ann has been a fairy godmother to me. I met Mary Ann more than a decade ago when I was working at the Utah Arts Council. Mary Ann was one of the most beloved panel members - one who gives generously of her time, speaks with a strong voice, and knows how to be politic. I did not know her very well at the time that her beloved husband died suddenly of a heart attack. In fact, I believe it was the shock that went through my arts community that made me really pay attention to this strong, vibrant woman. Somehow, she rallied and kept going after Jeff passed away, becoming even more of a leader in our community. Fast-forward several years. My colleague and I were conducting strategic planning meetings for arts organizations throughout Utah. Tanner Dance approached us and asked us if we would be willing to conduct a more in-depth strategic planning process as they were beginning to look at building a new building. We accepted the challenge. We met with the board several times, and conducted focus group meetings with several groups of Tanner constituents. We met with parents, faculty and staff, and a most impressive group of young articulate dancers. Each person who we interviewed spoke passionately about this program that reached young people and elderly people; taught dance, using live musicians; taught in the inner city; carried their message of hope and confidence to every county in the state; and received state and national acclaim. I was a young mom at this time with three beautiful children. I started dreaming of having my children involved in this incredible program. My dream came true and all three of my children dance or have danced with the program. Fast forward another few years. I was asked to join the Tanner Dance board. The dream of building a new building that had been articulated with the strategic planning process I was involved in was becoming a reality. This is where I truly began to understand Mary Ann’s strengths and tenacity. 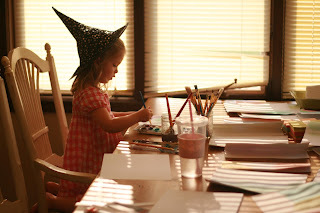 In my mind, fairy godmothers are neither ordinary nor bound by the constraints of imagination. Mary Ann is neither. In the process of working within the University of Utah structure as an auxiliary program, teaming up with both the College of Education and the College of Fine Arts, Mary Ann and her incredible partner, Rebecca Meadows Anderson, have shown that the impossible can be made possible. After years of dreaming and planning and hard work, nearly $24.5 million have been raised to build this complex. The groundbreaking occurred this summer, and the building is slated to be completed in the late spring of 2013. Back to the story of the fairy godmother. 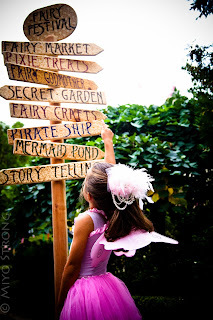 I have come up with a list of traits that a fairy godmother has, as I look at history, and as I consider Mary Ann. Sprinkles optimism. In part, because they know how to get things to happen. Tells truths. Fairy godmothers do not need to gloss over all the realities. In fact, sometimes they must expose the truth in order to fix a problem. Solves problems. Problems are simply something to be overcome with creativity and a little magic. Makes fairy tales come true. The Beverly Taylor Sorensen Complex is a dream come true for thousands. It will impact the lives of even more people as it changes the way educators think about the educational process. Tanner Dance has been an innovator and leader in education for more than 70 years. A rarity. Mostly, you can only dream about fairy godmothers. Only rarely, do we humans ever come in contact with a real fairy godmother. Inspires goodness. Mary Ann directs a large staff to do more and be more than nearly ever happens in this day and age. The staff works tirelessly to fulfill the Tanner mission: Creating Worthwhile Human Beings One Dancer at a Time. Mary Ann Lee has exhibited each of these traits over the years in abundance. The most important gift that Mary Ann has, however, is her ability to connect with people, and in particular young people. She has devoted her life to touching the lives of her young dancers. She knows the names of thousands of dancers. In the Children’s Dance Theatre, she knows each of the dancers (over 250). Not only does she know their names, she knows their families, she knows their strengths, and she loves them. She genuinely loves each of her dancers. They feel this love. Her love of and genuine attention to these children is genuinely reciprocated. The children adore her. They trust her. They believe in her. They are empowered by her. In Tanner Dance, they talk about each dancer finding their magic eye. The magic eye is in the center of the chest. In finding that eye, the dancer opens up her beautiful body, straightens his posture, and exudes beauty. Mary Ann, a petite beautiful woman, walks with her dancer’s eye looking skyward at all times. Her vivid blue eyes sparkle as she talks passionately and directly to her audience of one or fifty or two hundred and fifty. I am deeply grateful that my life and the lives of each member of my family has been blessed by Mary Ann Lee. 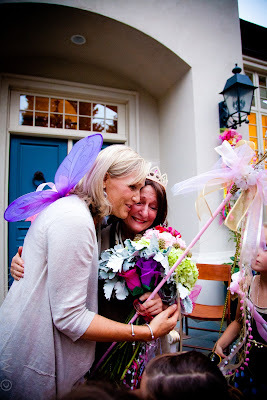 She is a most magical fairy godmother, and very worthy of the title. Here's a sneak peek at one of our youngest fairy's creations for this year's marketplace. 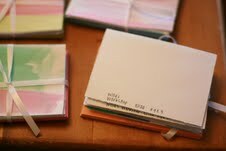 Three-year-old E. has been handpainting notecards all summer long to contribute to Friday's event. E.'s mother spent sixteen years dancing with Tanner Dance and is incorporating the principles she learned there--creativity, generosity, talent development, art appreciation--into this project and others in her home and community. Thank you to all our fairy artists and volunteers (and their parents) for inspiring us. Another year has quickly passed and we are less than two months away from the 4th Annual Fairy Festival! We were thrilled with last year's response and felt honored to be able to contribute $11,500 to Kenya Keys with your help. This year, the Fairy Festival will be on Friday, September 9th at 6:00 PM. Please save the date and invite your friends and neighbors. We are pleased to announce that the beneficiary of the proceeds of this year's festival will be the Tanner Dance Program. Like Willa's Workshop, Tanner Dance is committed to protecting the magic of childhood and its programs reach more than 5,000 children through its arts education programs in public schools. Its programs and services have been designed with children in mind – allowing them to discover, explore, create, and most importantly, find joy. For more information on this year's partner, go to http://www.tannerdance.utah.edu. 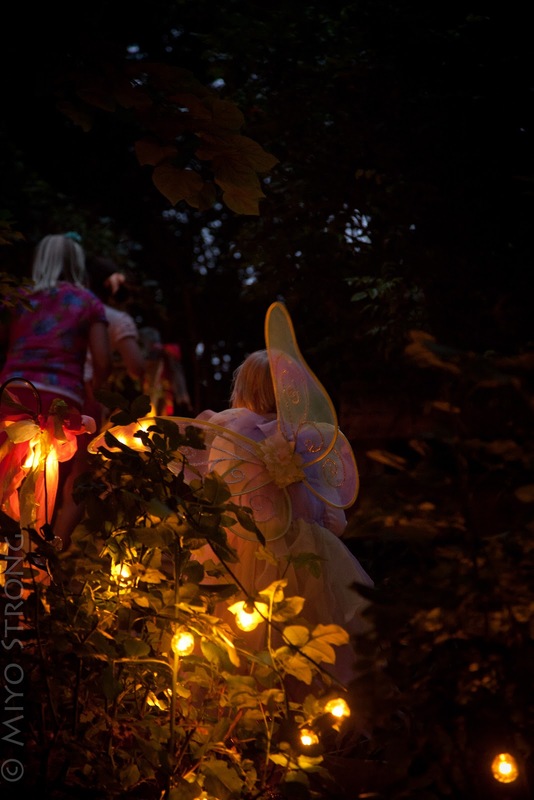 If you are interested in helping with the Fairy Festival, please e-mail us at willasworkshop@gmail.com. We will have our Fairy Market again this year and welcome any donations of handicrafts, art, and creative items as well as items for the raffle. It is so exciting to hear about kids making items for this year's Festival and we are so impressed with the abundance of talent and generosity in these individuals! We will be having a unique Sweet Shoppe this year as a fundraiser in addition to storytelling, fairy dancing, a fairy garden and other fun activities. The Pirates will also be returning by popular demand! Lastly, please send your nominations for this year's FAIRY GODMOTHER Award to willasworkshop@gmail.com. Last year's recipient, Kim Butler, will be passing the wand to another individual that exemplifies service, generosity, creativity and kindness. Watch for the finalists to be announced in August on our blog. As always, sincere thanks for supporting Willa's Workshop and helping us make this magical night a meaningful and magical one.